Careers constantly evolve and change yet lately, there are doom-and-gloom comments from many so-called experts who tell us all the jobs will be gone. Robots were first used in factories in the 1990s yet as recent as last year, factory jobs in the U.S. grew faster than at any time in 23 years! How can this be? Consider, not only have robots "taken" some jobs, many manufacturing jobs, perhaps tens of millions have shifted overseas. At one point in time, almost all people worked on farms but thanks to automation, a fraction of populations work on farms these days. Yet there have been new jobs created for these people. These contrasting views are constantly in play but our point of view continues to be confirmed. In late 2017, the McKinsey Global Institute released a report estimating that the relentless march of automation could eliminate up to 73 million jobs in the U.S. by 2030. "Automation is certainly a factor in the future of the workforce," says Elliot Dinkin, a nationally known expert in actuarial, compensation, and employee benefits issues. "There are indications, however that its effect on downsizing may be less than what has been predicted. The largest corporate layoffs of this century to date, for example, seem primarily to have been caused not by advanced technology, but by market changes, mergers, and plain old bad business decisions. Dinkin reaffirms our thoughts above when he explains it is easy to forget that under the right circumstances, automation facilitates business growth and thus stimulates employment rather than threatening it. The Ford Motor Company introduced the auto assembly line in 1913, reducing assembly time from 12 hours per car to about one and one-half hours—and enabling an enormous upsurge in production. Since then, the auto industry has continued to embrace automation, along with job-changing concepts like lean manufacturing. It has also continued to hire people; between 2011 and 2017, auto making and auto supplies employment increased by almost 50%, adding nearly 130,000 jobs in the U.S.
Cowden Associates specializes in helping corporate clients find the best solutions, both for the enterprise and for its employees, with regard to compensation, healthcare benefits, retirement and pension issues, and Taft-Hartley fund consulting. 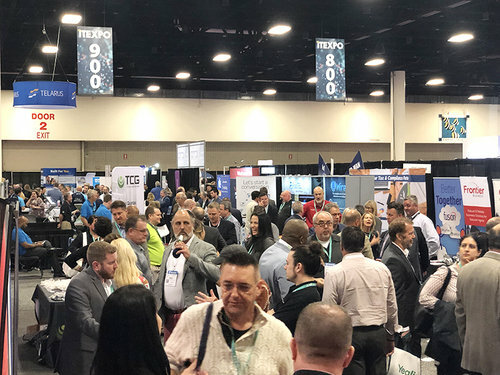 If you are interested in the Future of Work as a speaker, exhibitor or conferee, we'd love to host you at Future of Work Expo, Florida, Feb 12-14, 2020. The Call for speakers ends May 1st, 2019 so please submit ASAP.